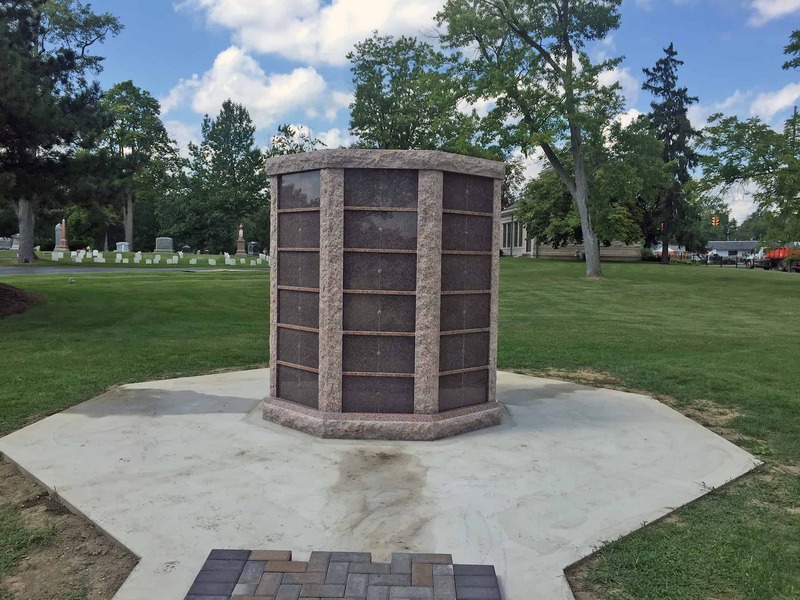 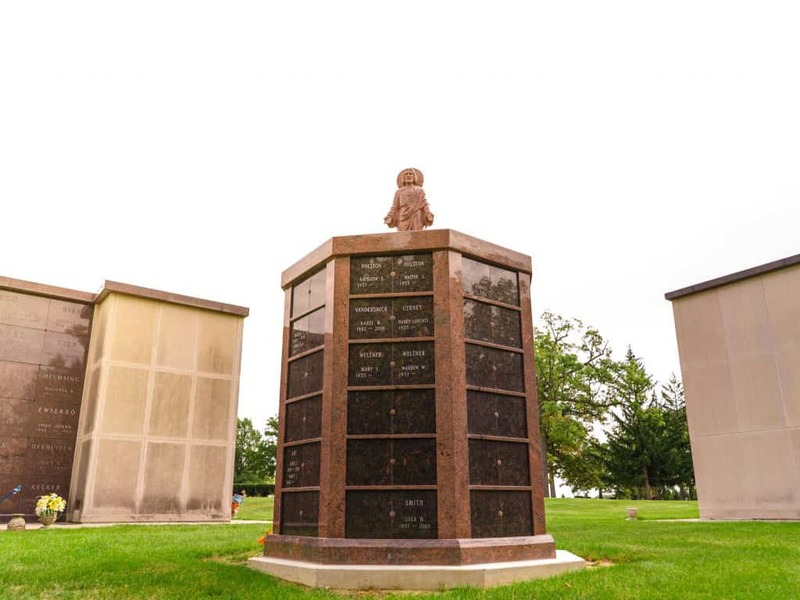 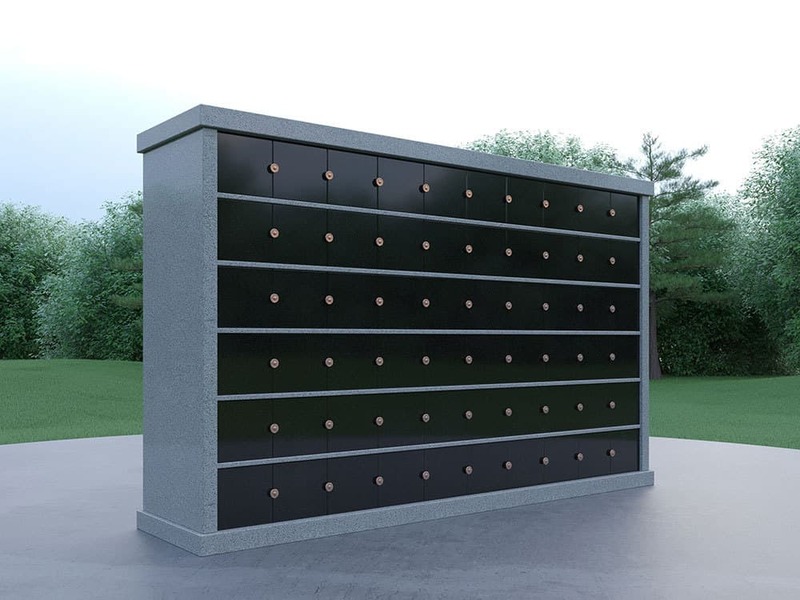 Salem Stones offers the best selection and value of columbaria in the U.S.
As cremation continues to gain acceptance across the United States, the demand for cremation niches and columbaria gardens is on the rise. 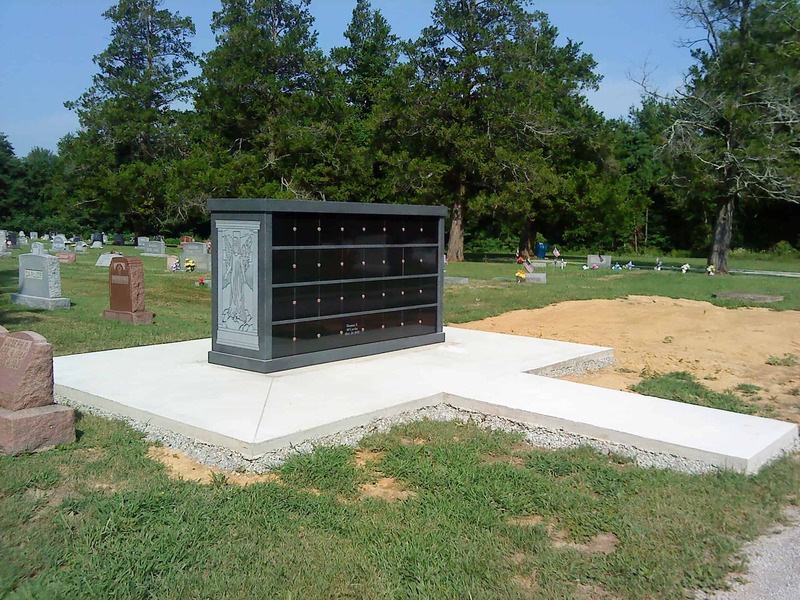 In 2001, approximately 27 percent of the U.S. population chose cremation. 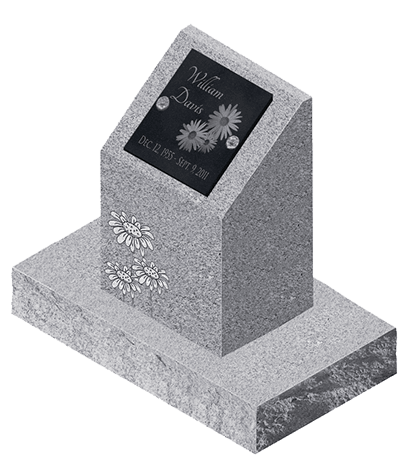 By 2016, the number jumped to 50 percent. 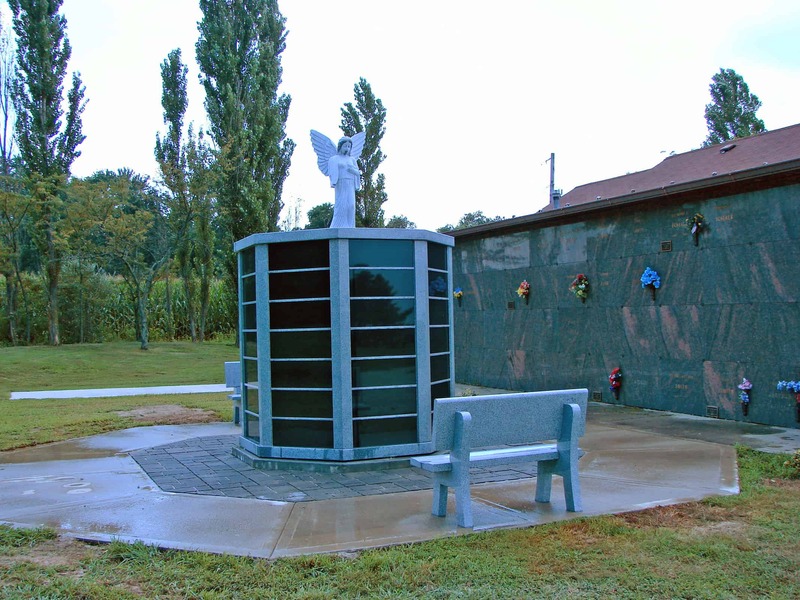 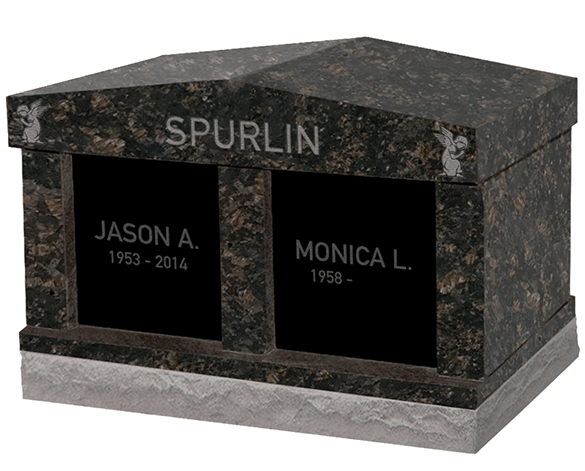 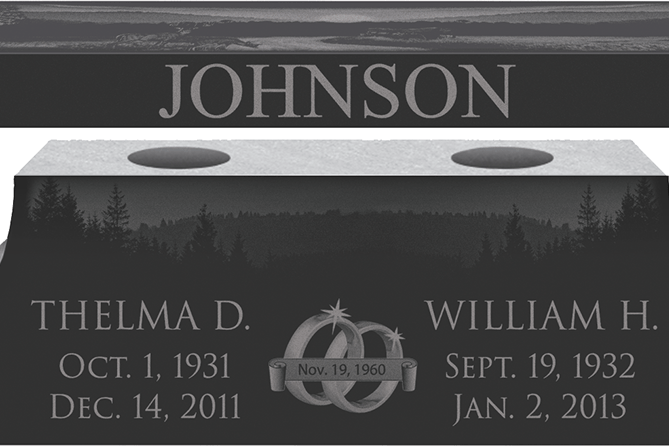 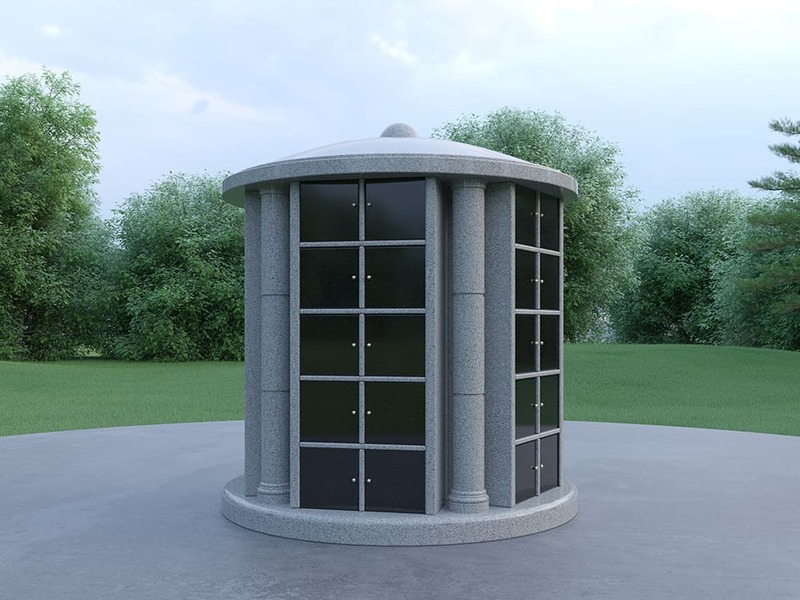 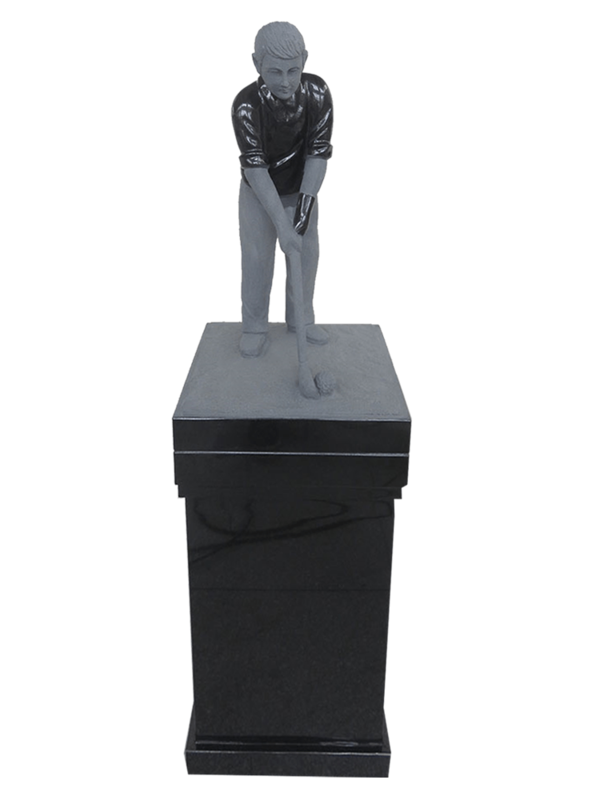 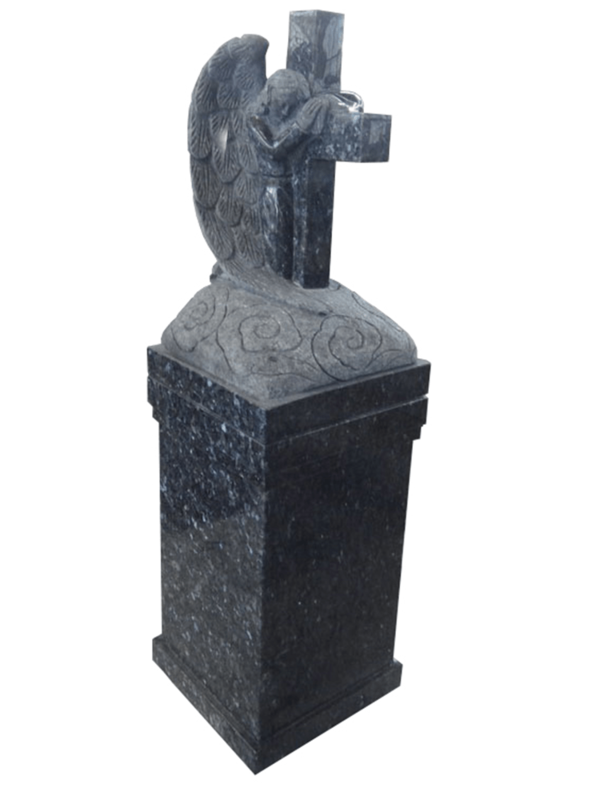 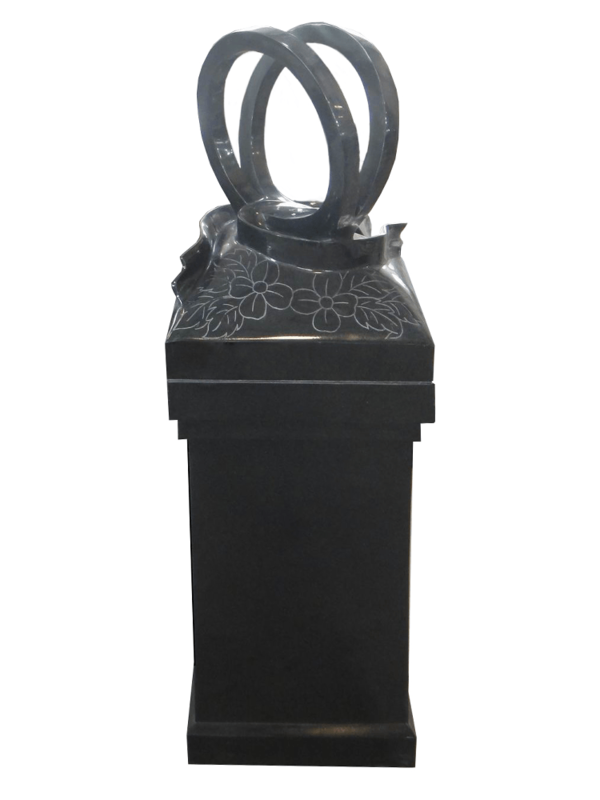 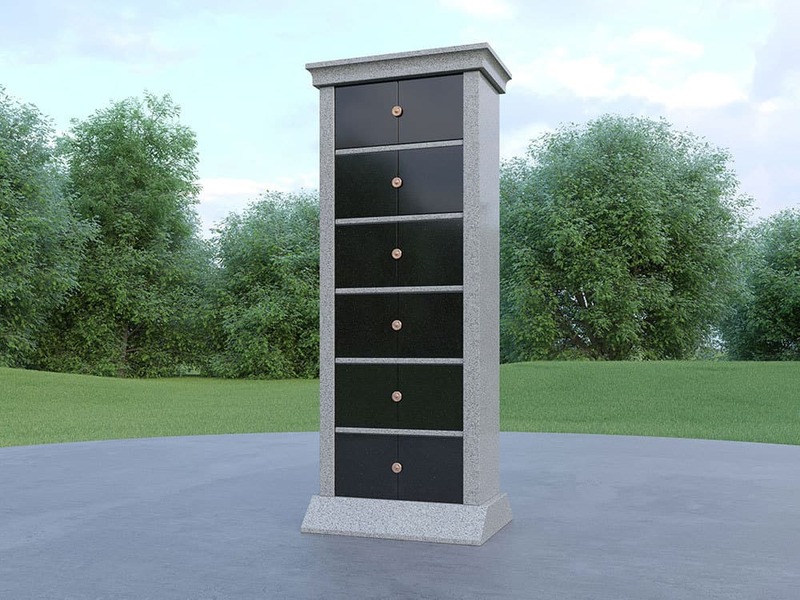 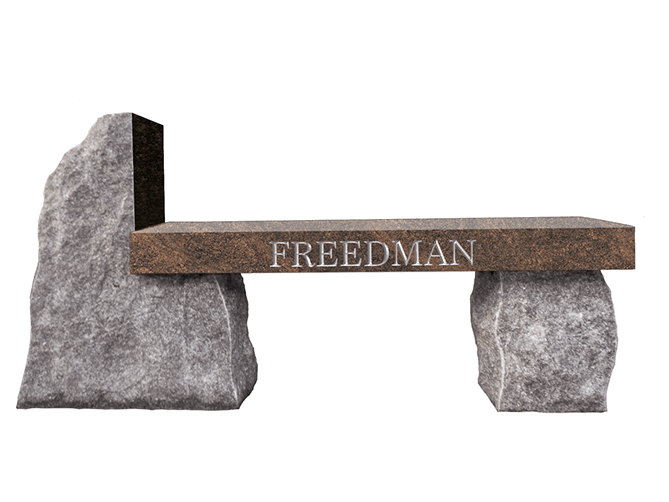 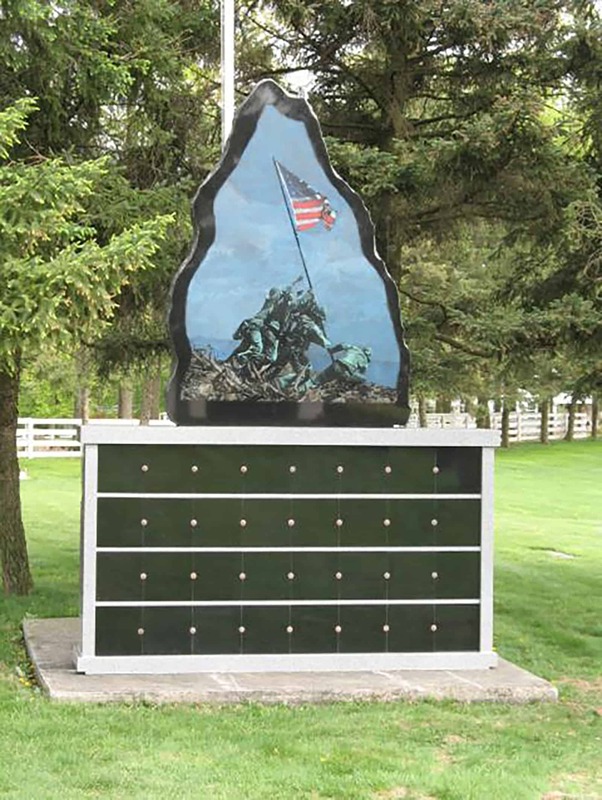 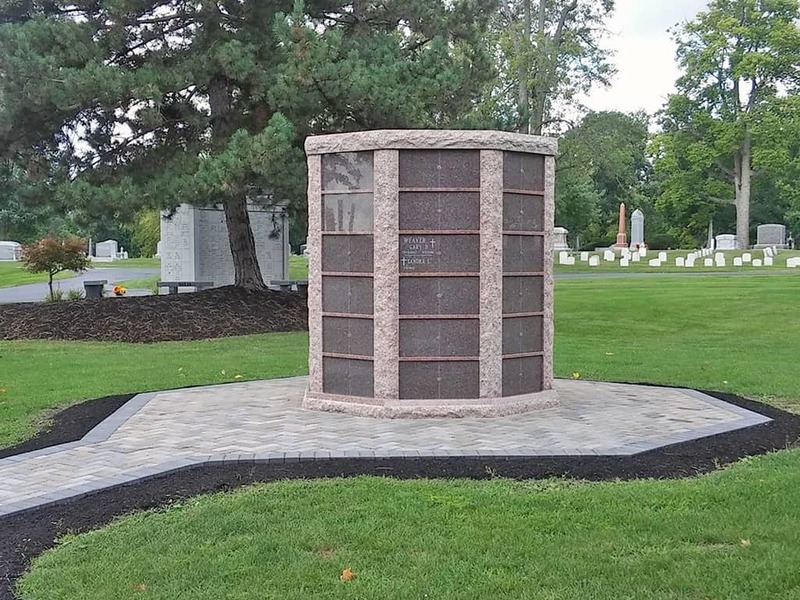 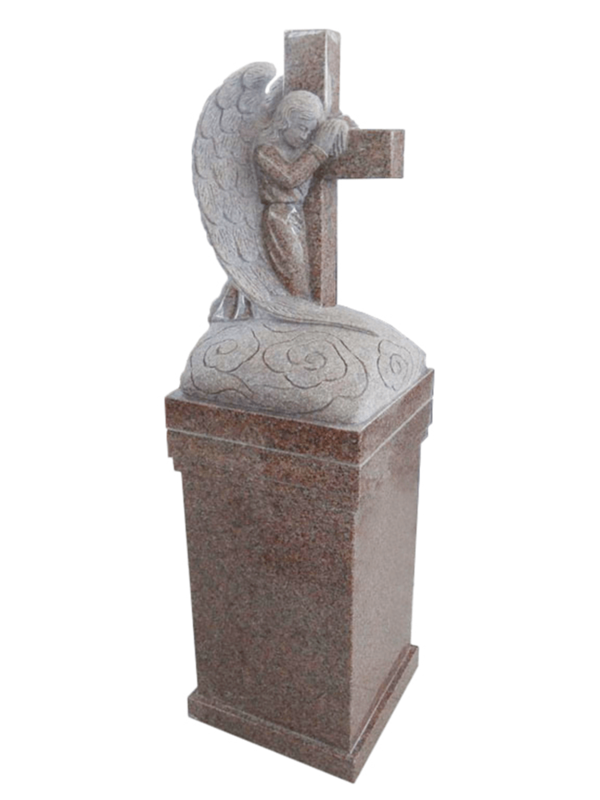 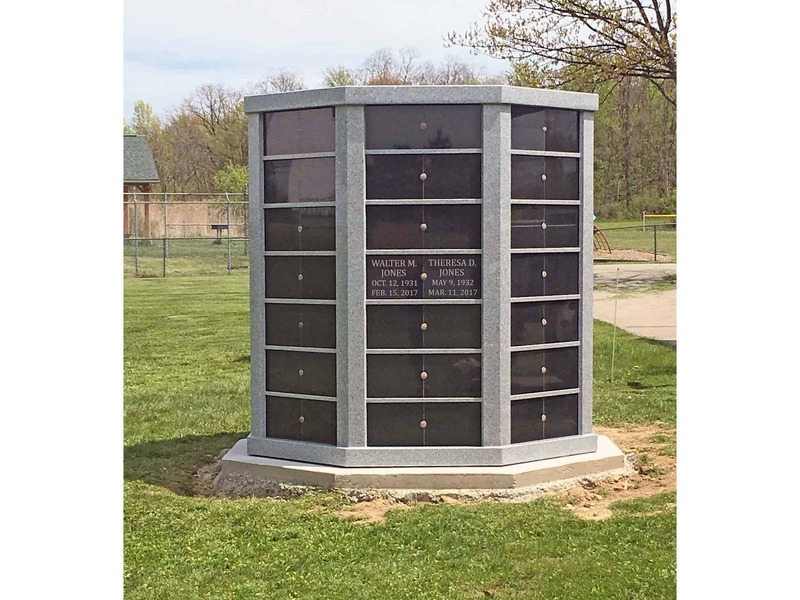 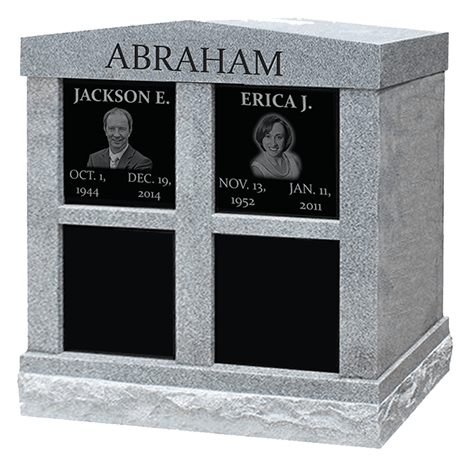 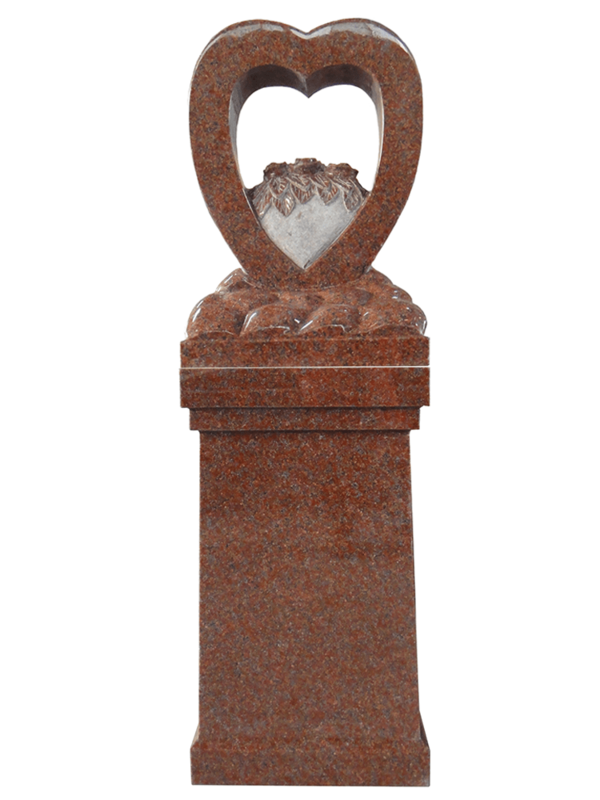 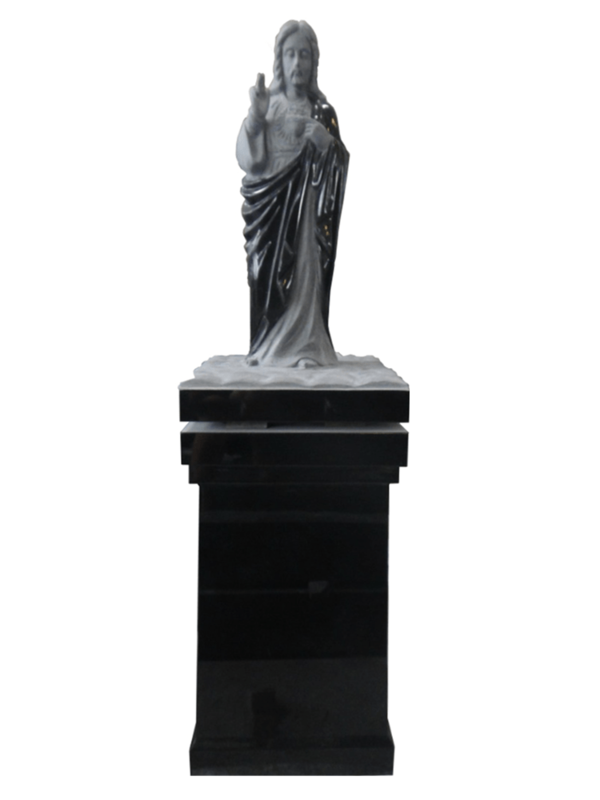 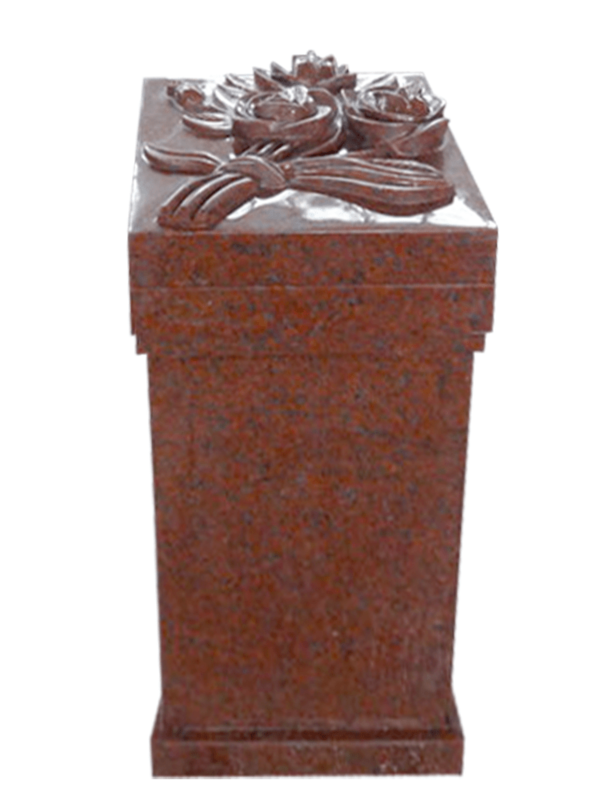 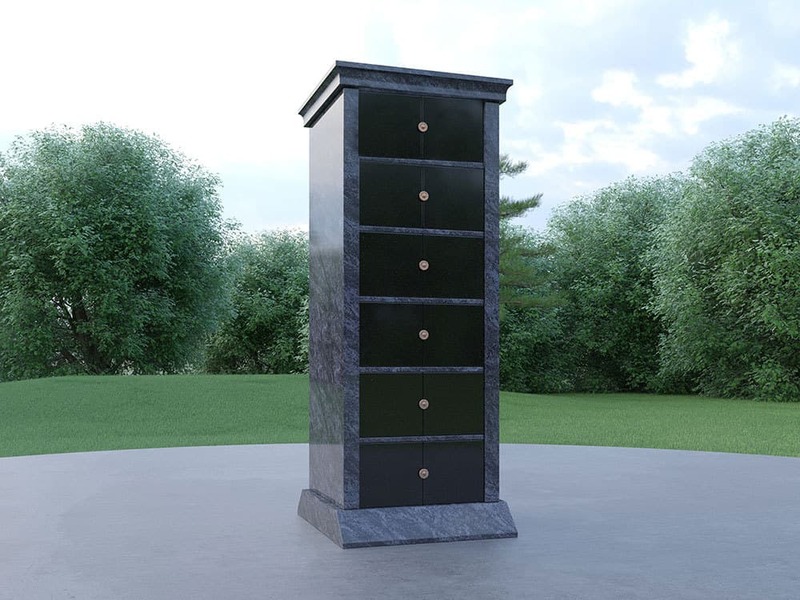 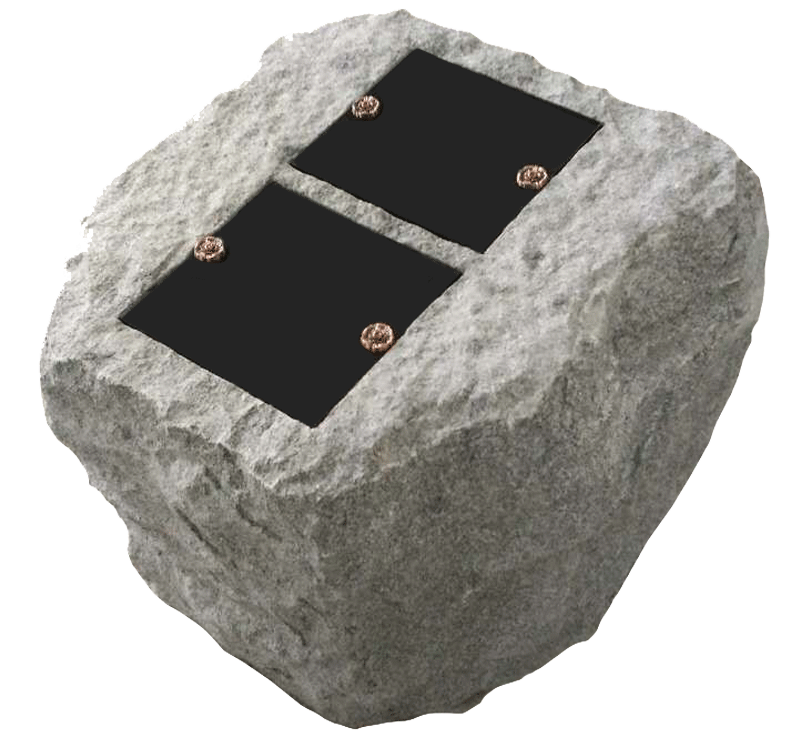 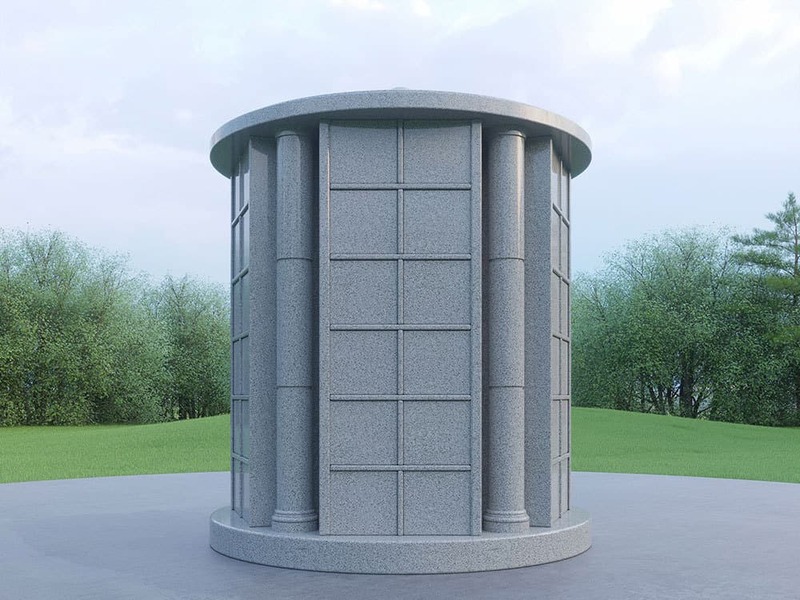 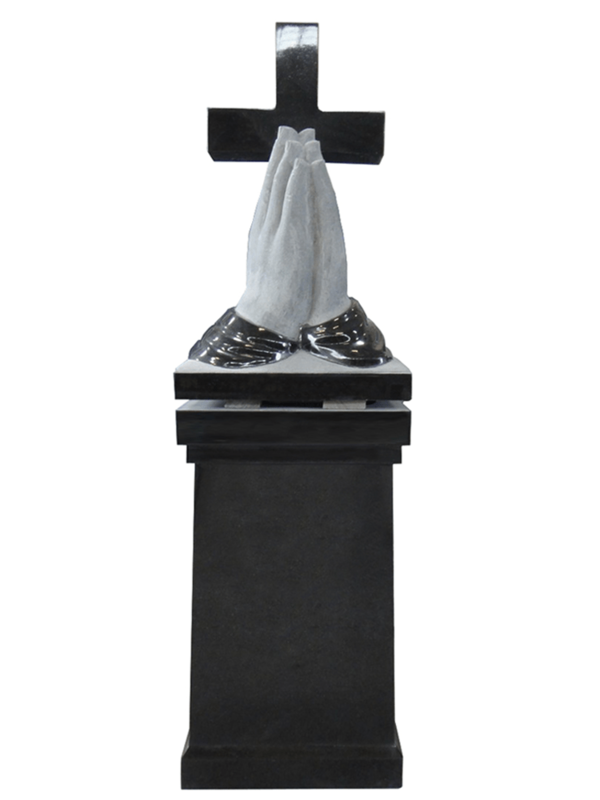 From single and companion cremation niches and cremation benches to multi-niche columbaria, Salem Stones offers multiple in-stock and customized options. 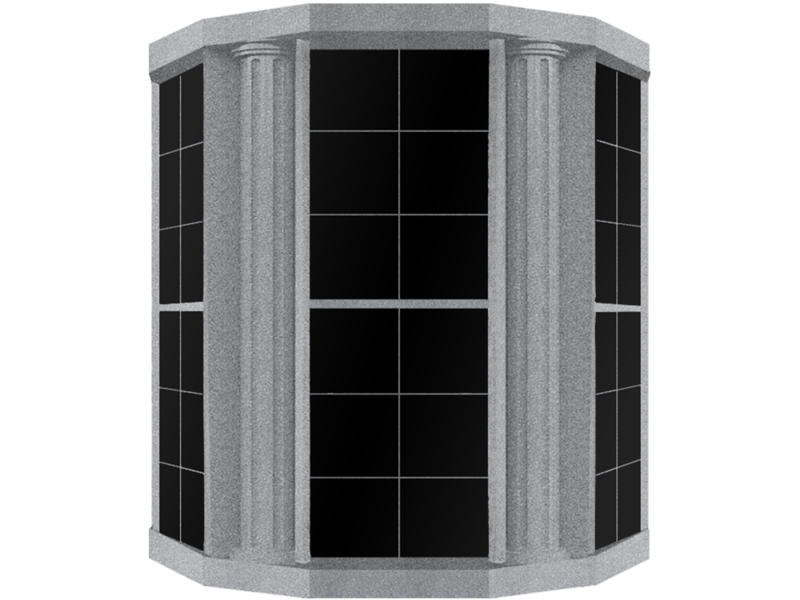 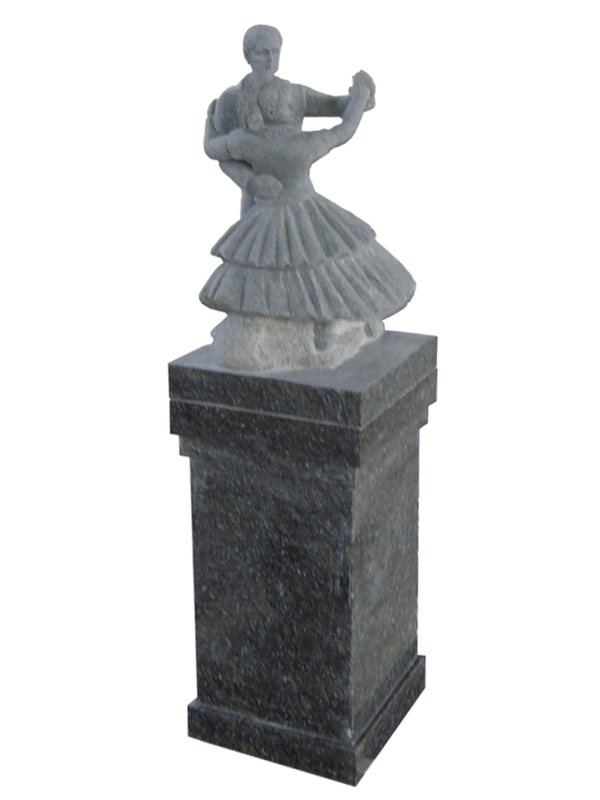 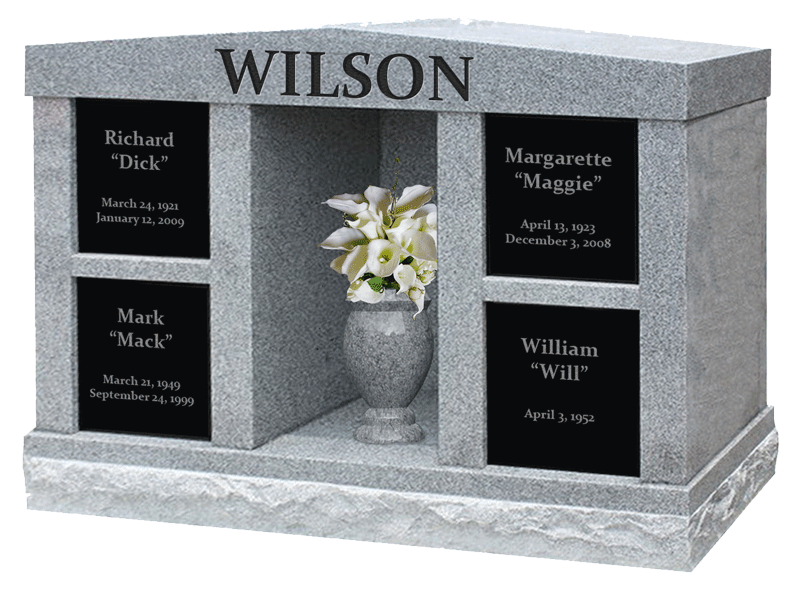 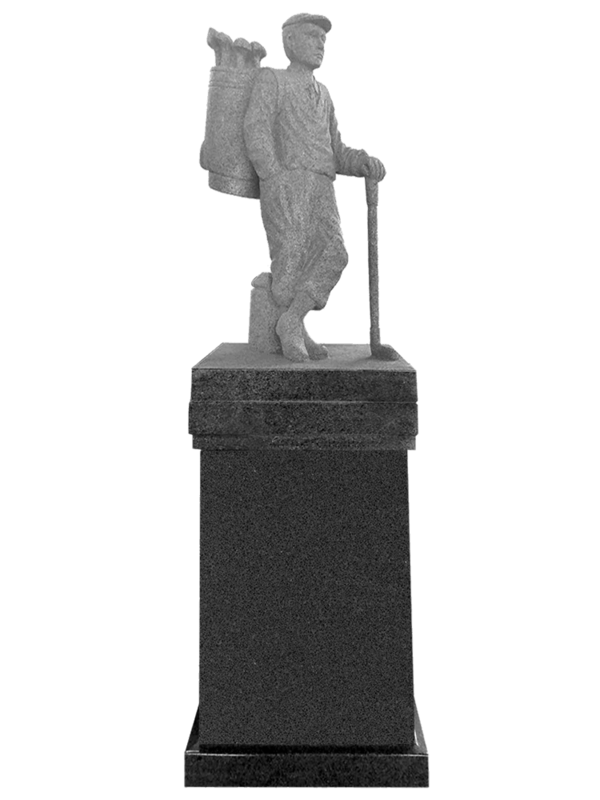 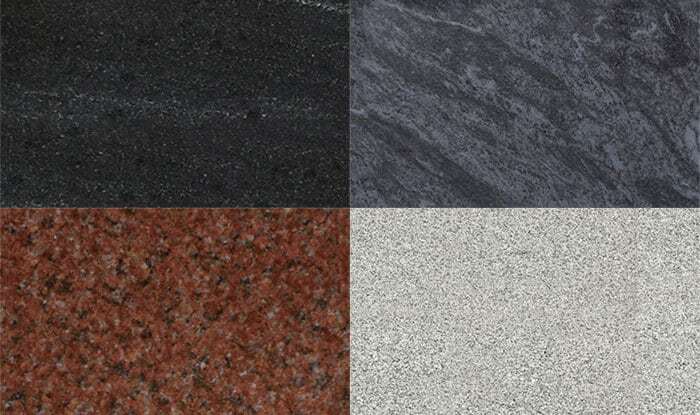 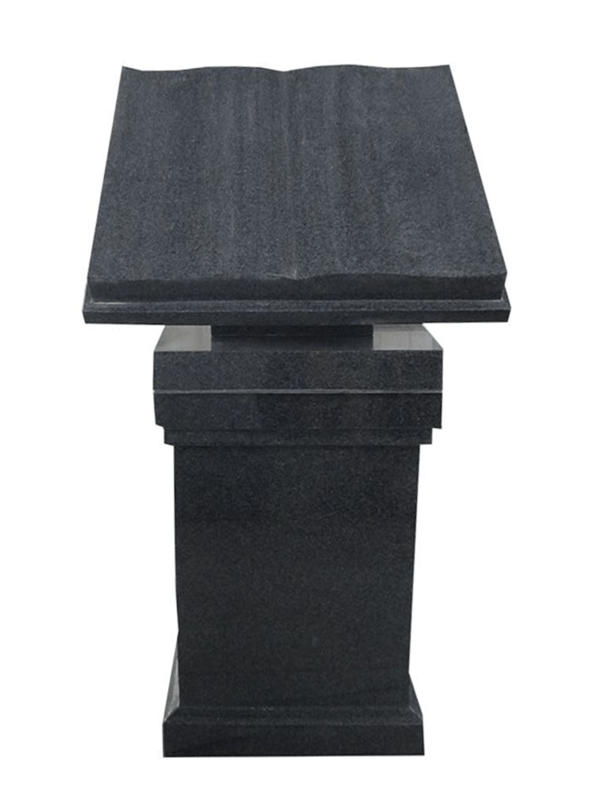 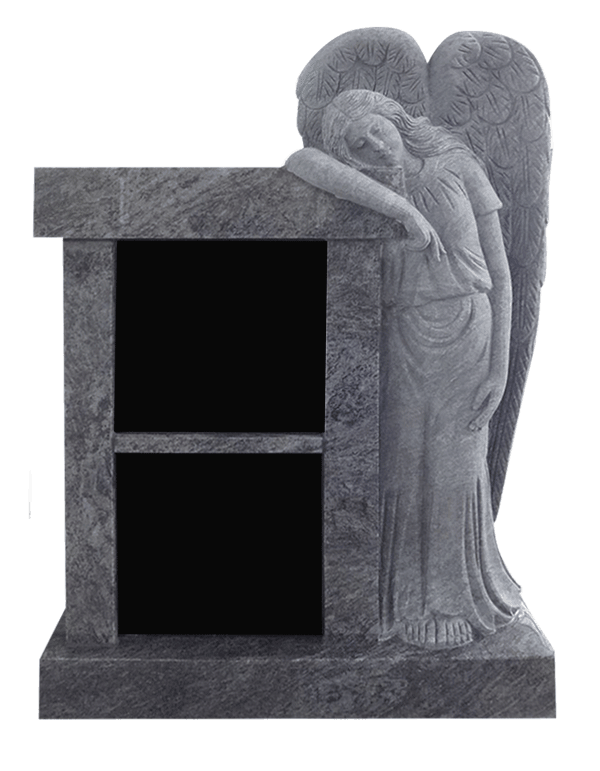 Customize cremation niches or columbarium with a wide range of import and domestic stone color options. 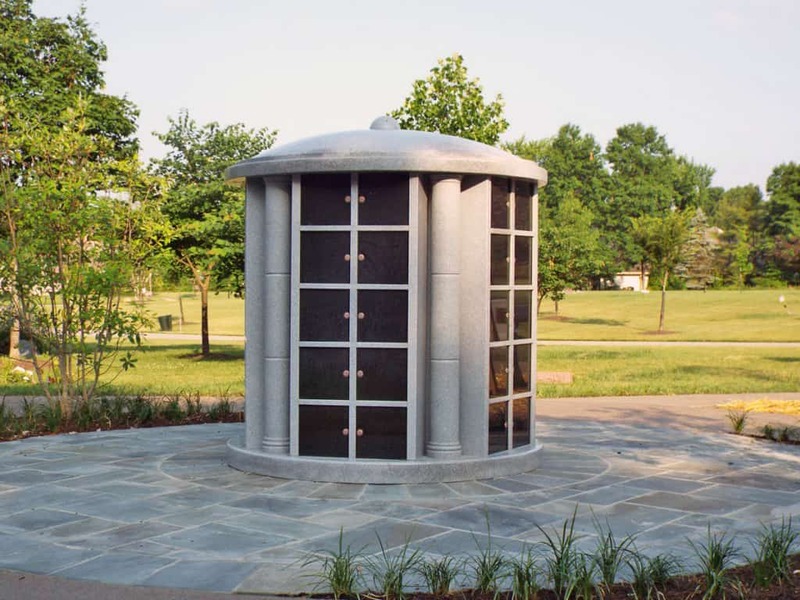 Personal columbaria and cremation gardens are still fairly new burial options in many parts of the country. 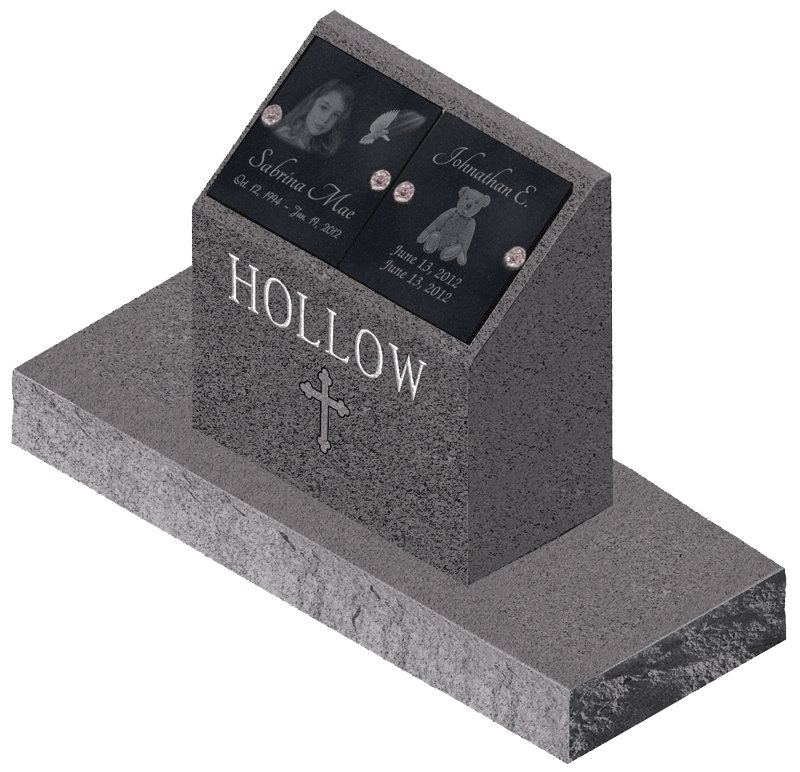 That’s why more cemeteries trust our experience when designing or offering this type of memorial. 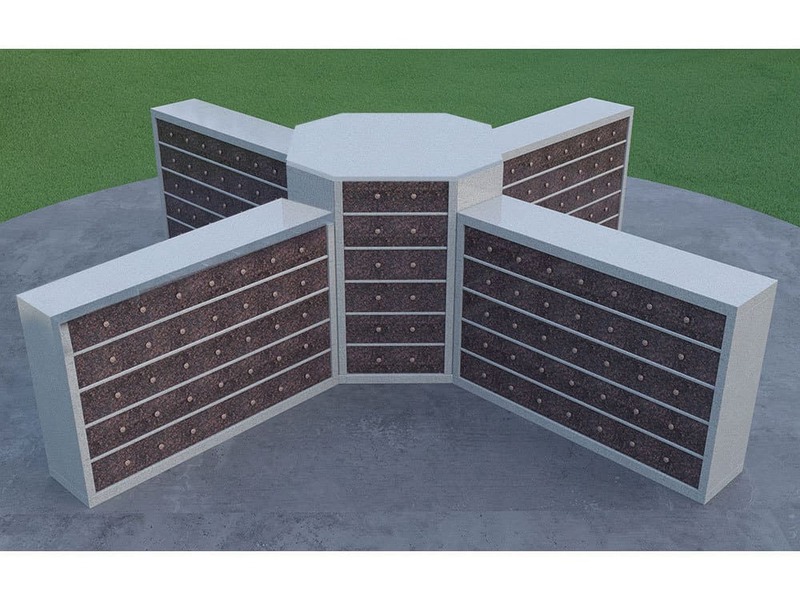 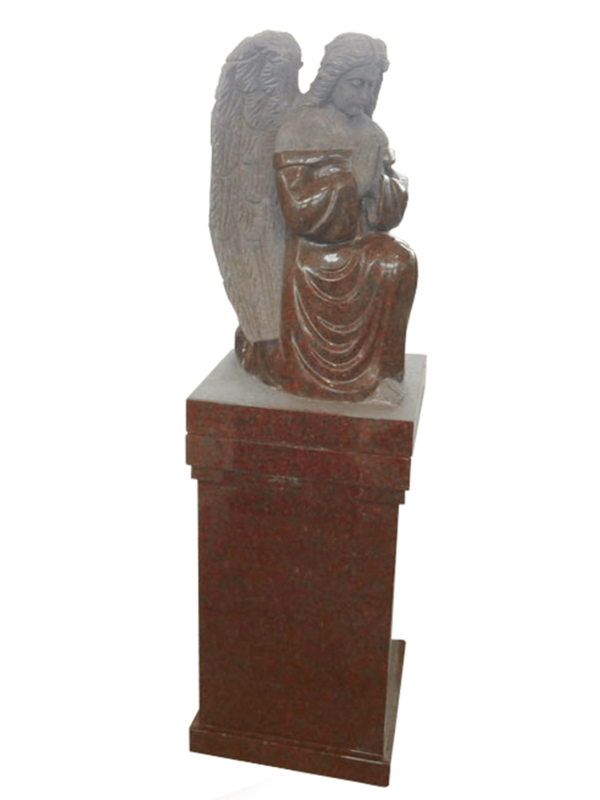 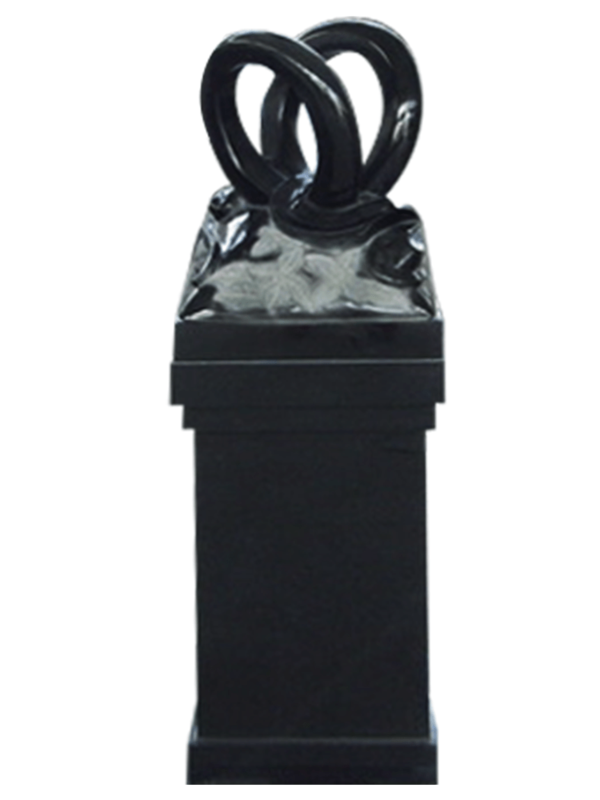 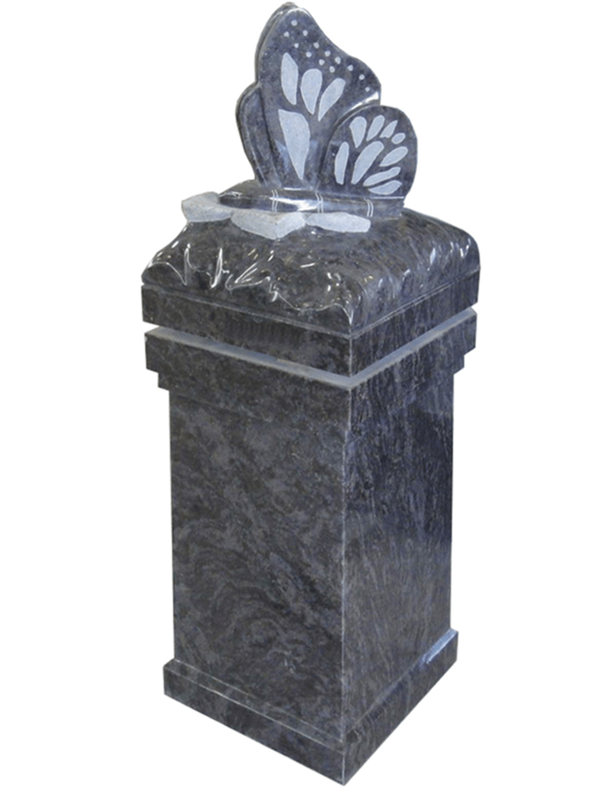 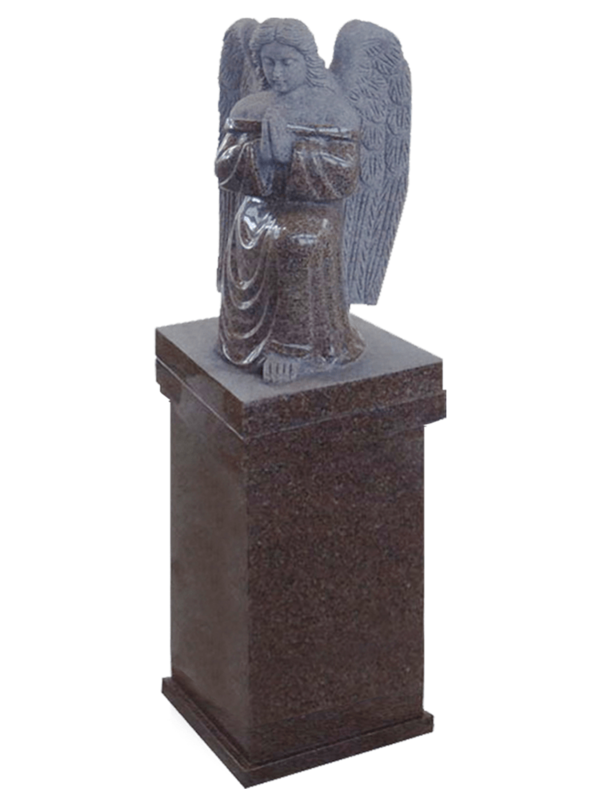 Salem Stones carries a large selection columbaria in multiple colors, shapes and sizes. 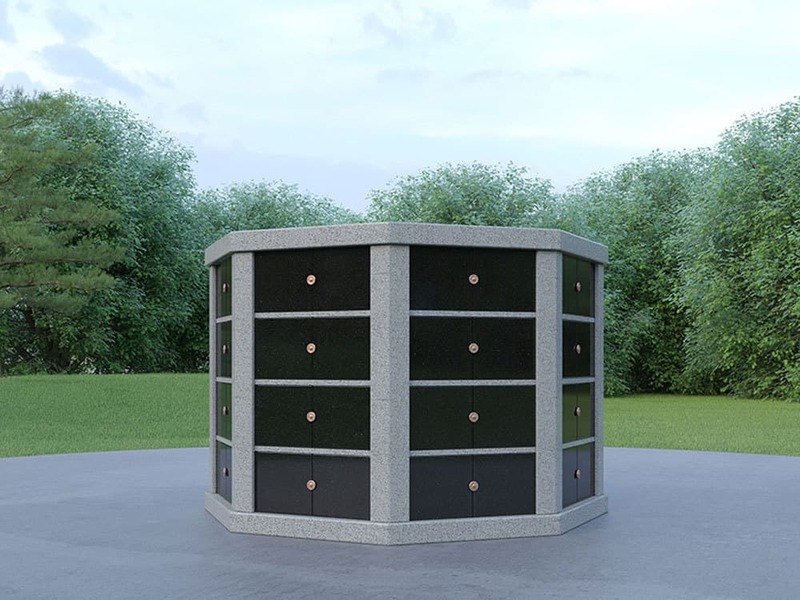 Our in-stock choices include personal columbaria with two or four niches. 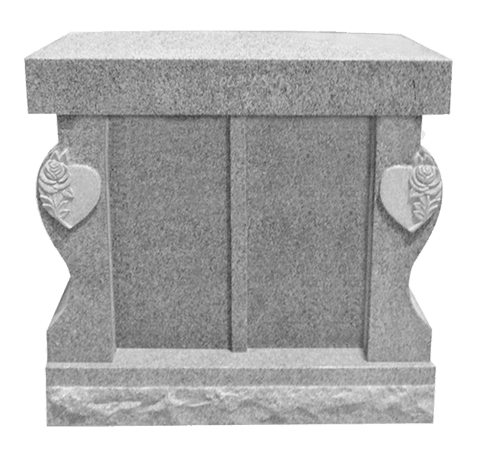 Both niche sizes are available with or without an alcove. 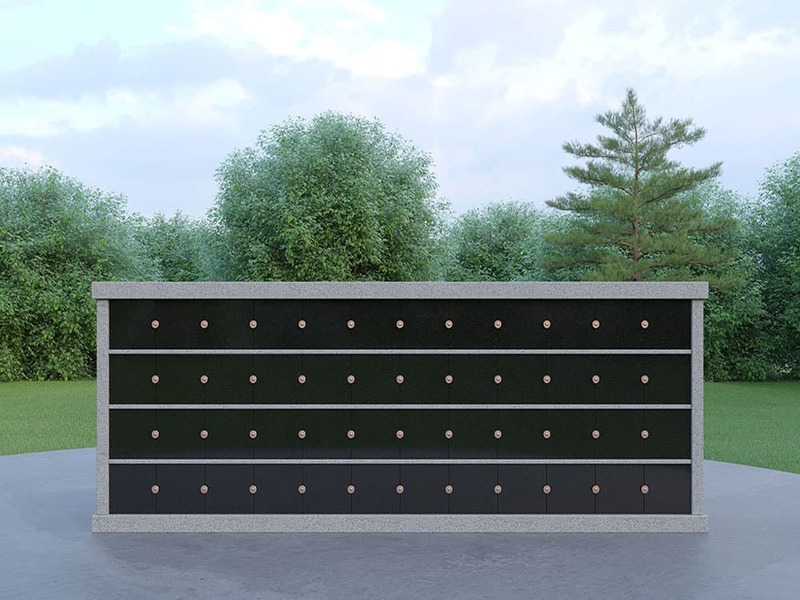 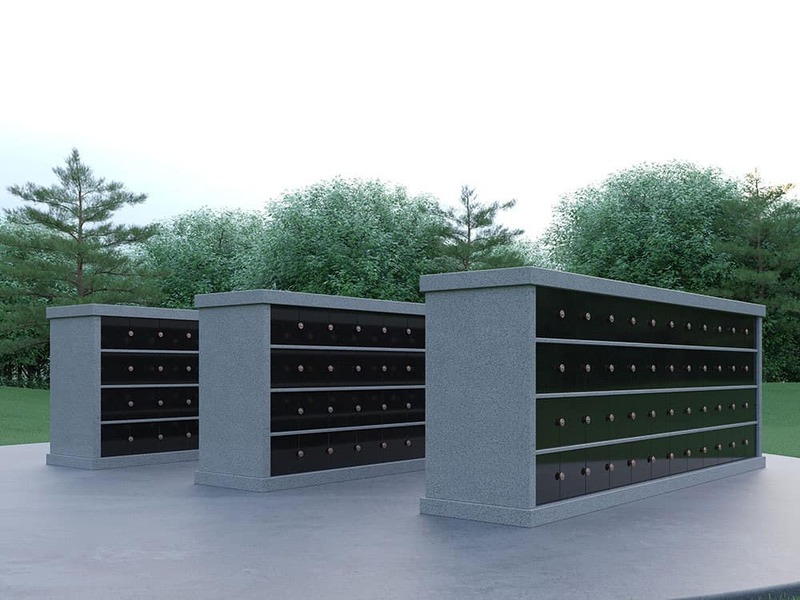 For a cemetery wishing to add community columbaria, in-stock options start at six niches and increase to 48 niches or more based on space and demand requirements. 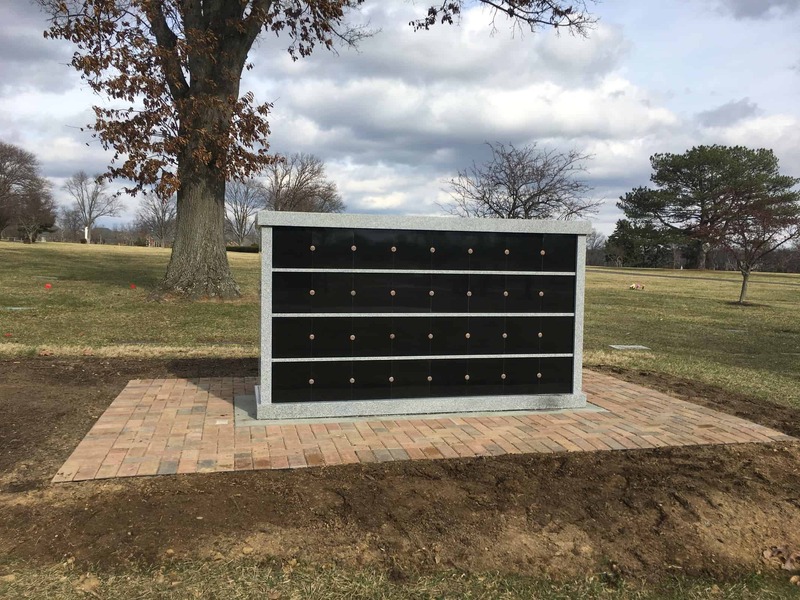 Salem Stones can build custom columbaria for personal use, or as part of a larger community space within a cemetery or memorial garden. 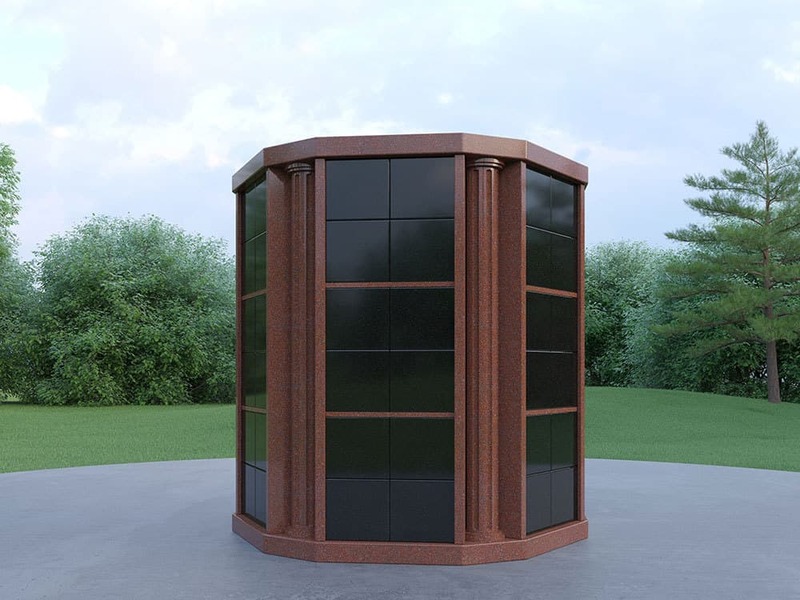 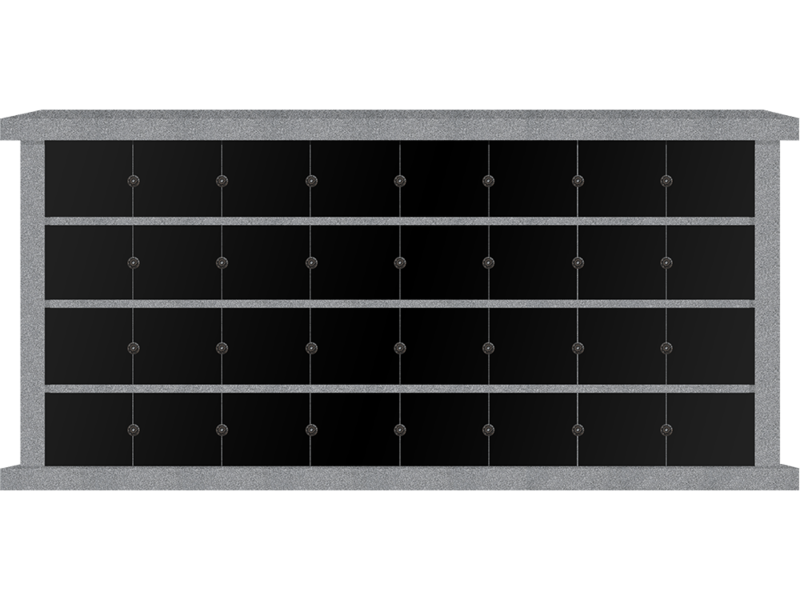 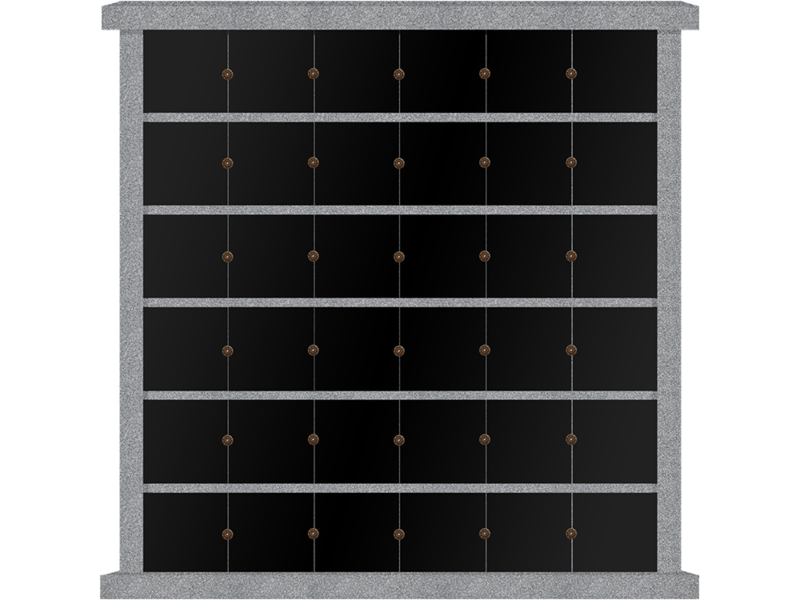 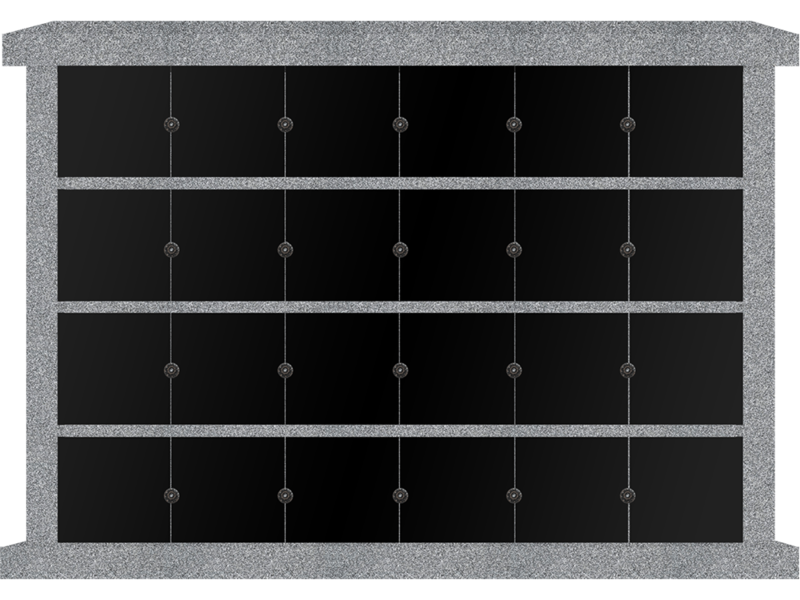 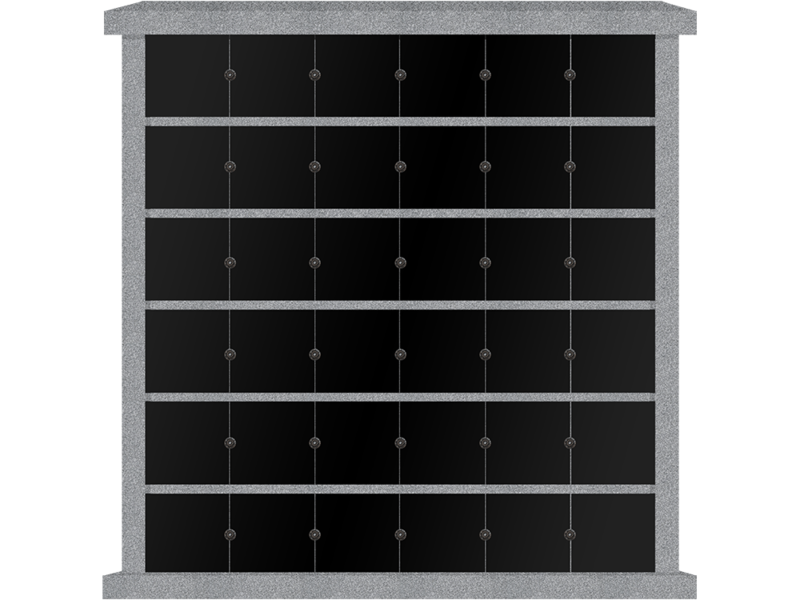 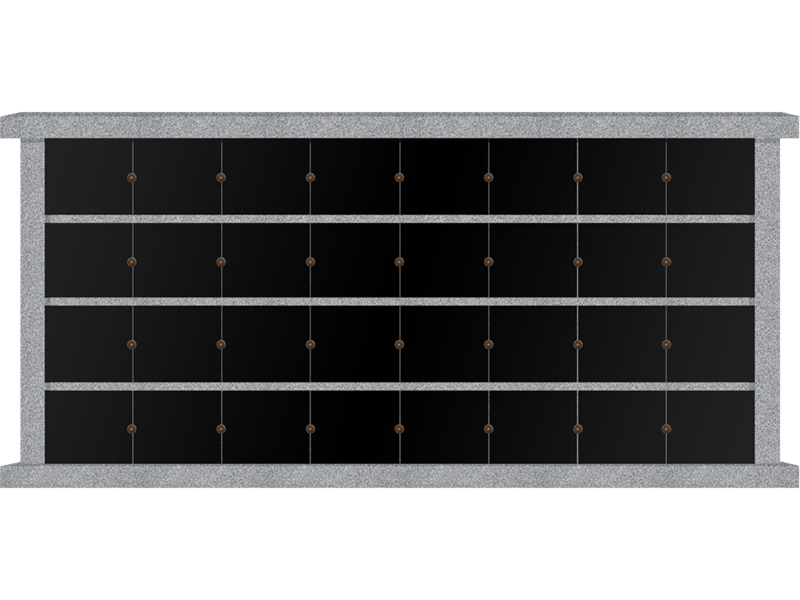 Dimensional drawings and 3-D color renderings are provided as part of the design process. 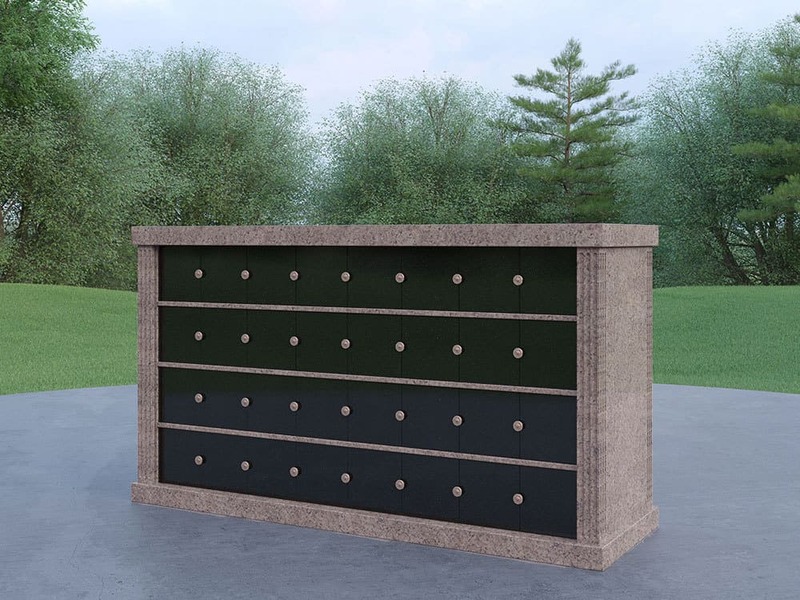 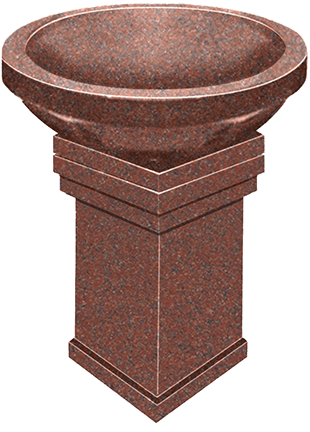 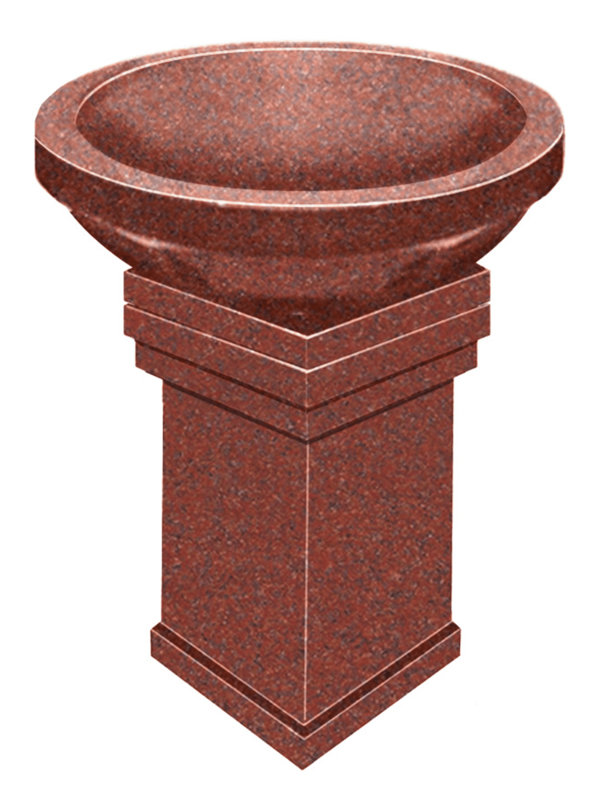 We stock or can order an assortment of niches, benches and pedestals in multiple sizes, shapes and colors with fast delivery and low shipping rates nationwide. 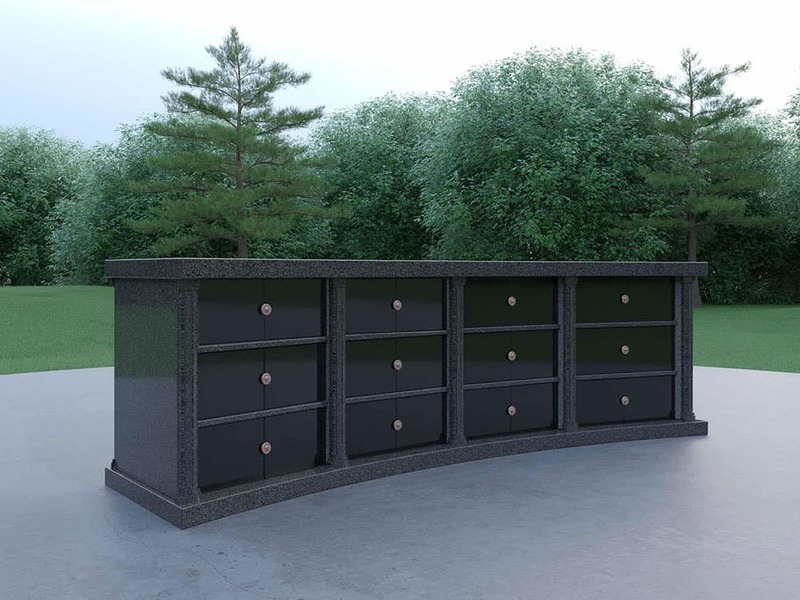 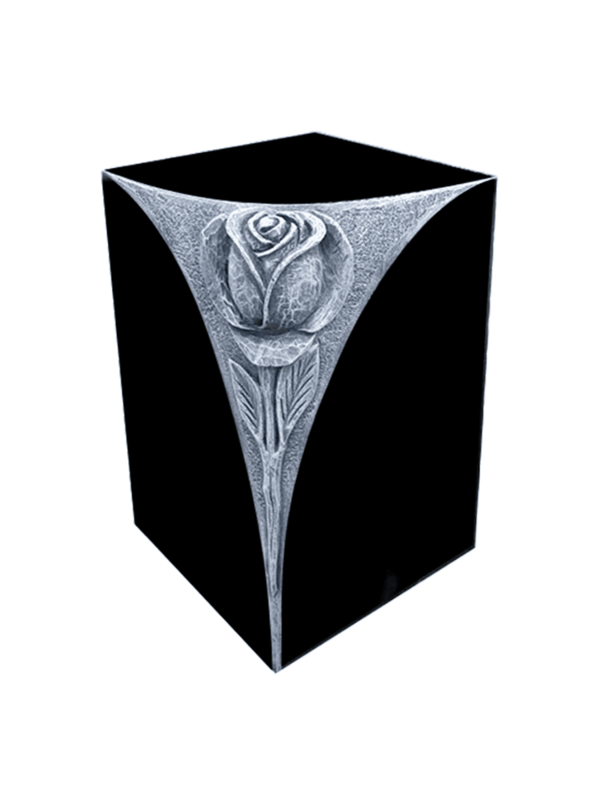 Cremation gardens are a large, yet affordable, option to build or add to your cemetery. 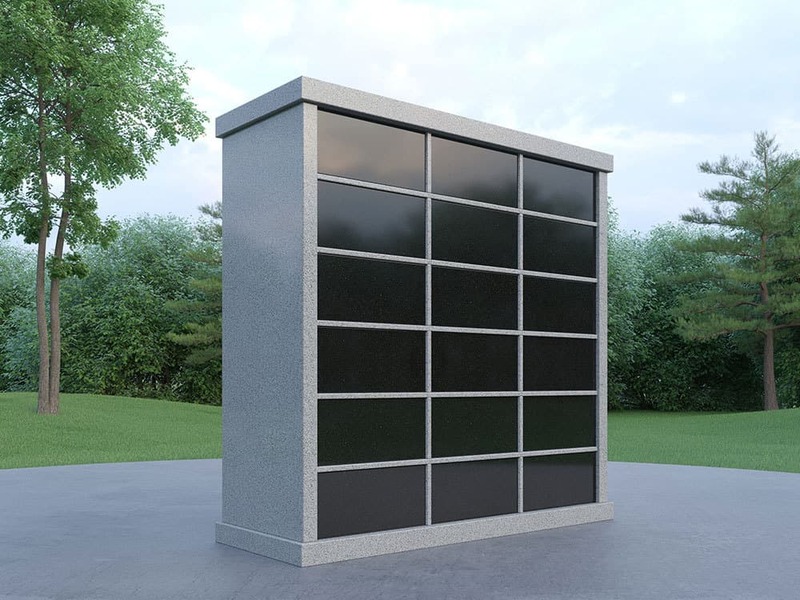 Using satellite images, square footage and more, Salem Stones can create a rendering of any cremation garden you may imagine. 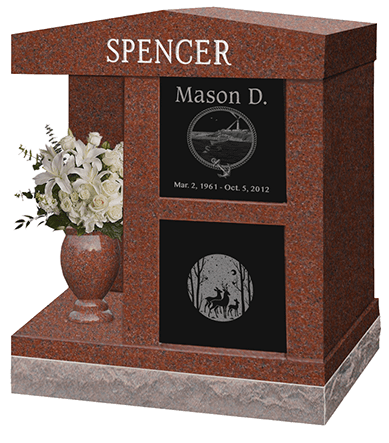 Call today to get started. 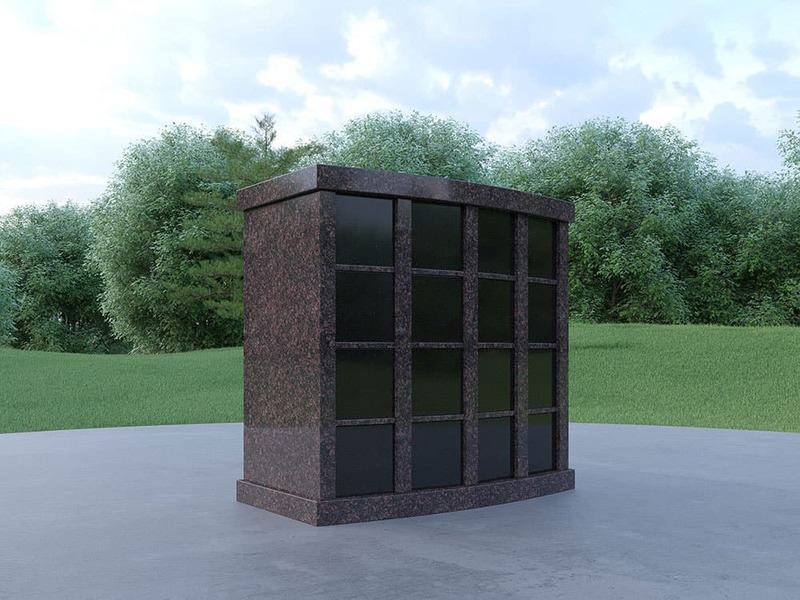 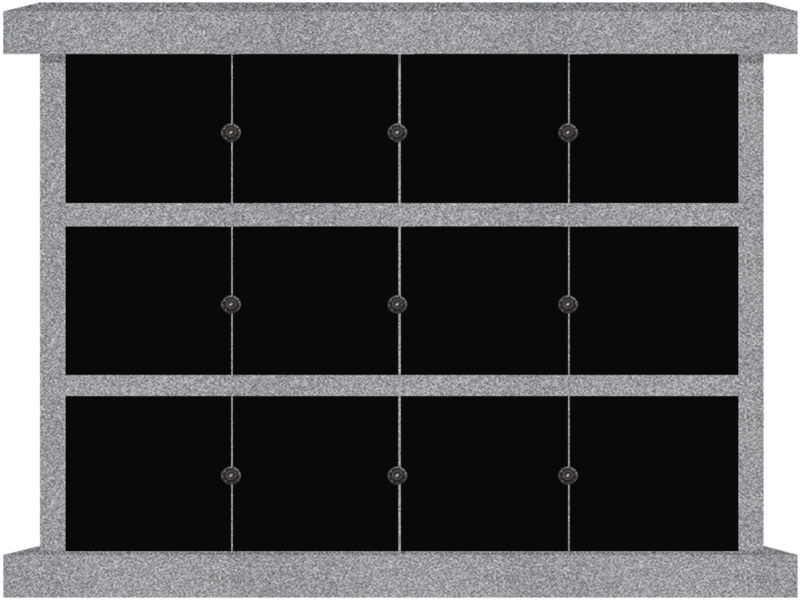 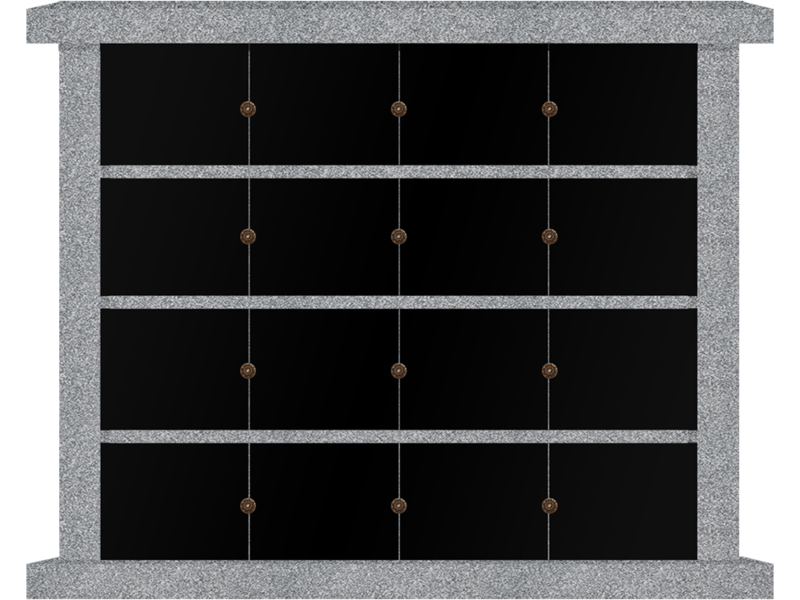 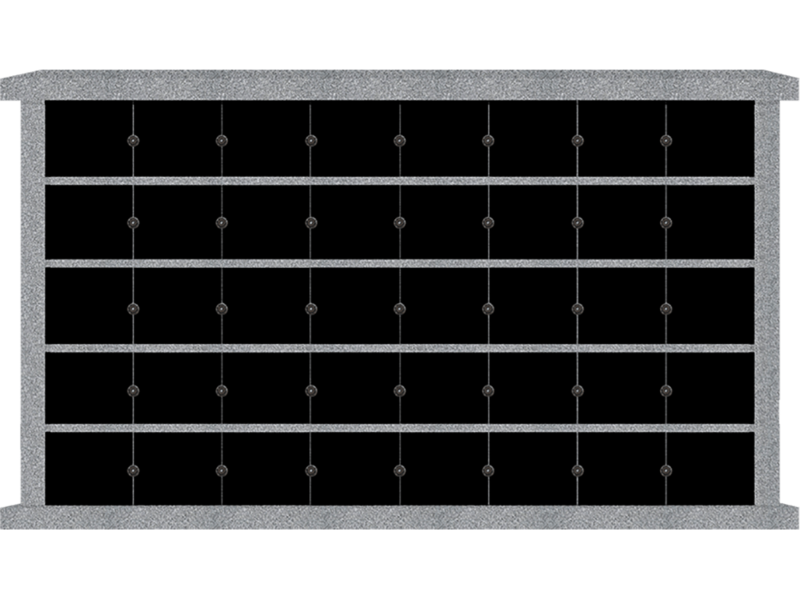 In-Stock units grey granite walls with black granite doors. 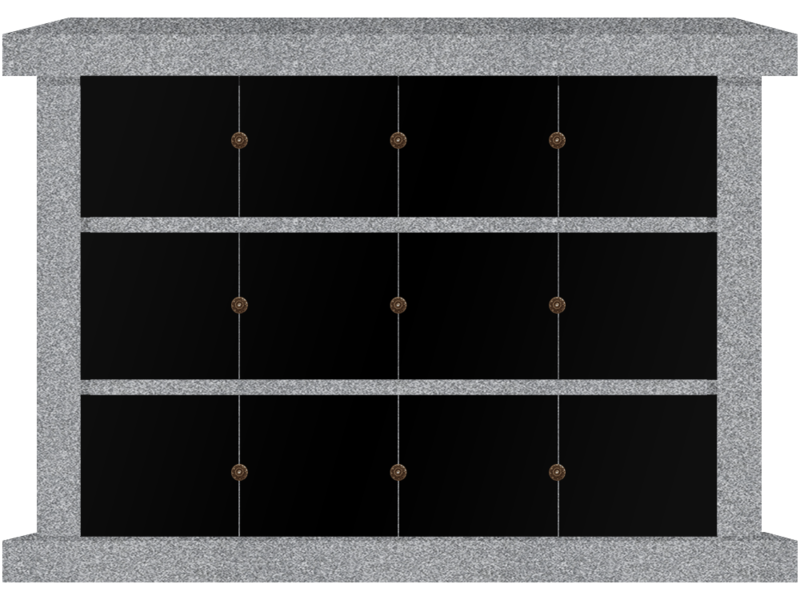 Rosettes included with applicable. 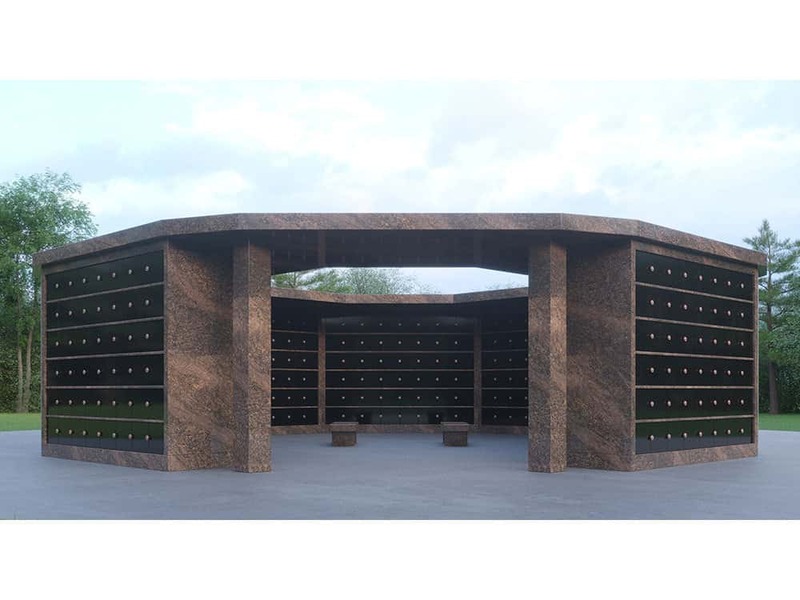 Custom Columbaria can be ordered in a variety of shapes, colors and sizes. 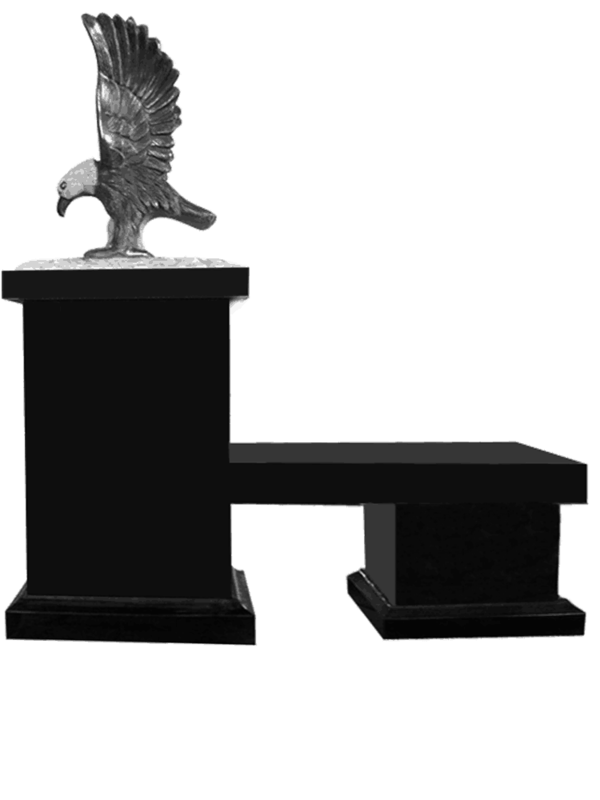 Custom order delivery time is within 120 days of order. 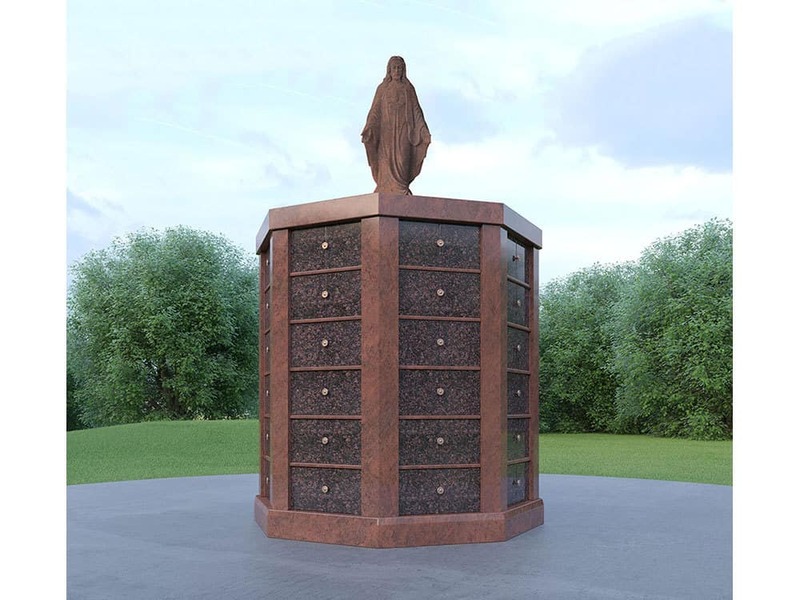 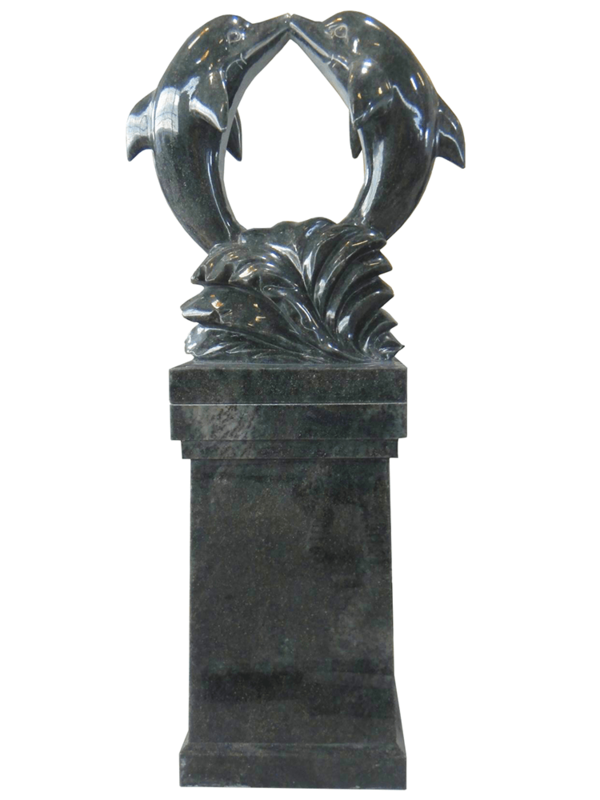 Call 866-834-1219 for landscaping and columbarium memorial garden design assistance.